Want to see your kitty up and about? Gift it interesting interactive toys that will engage it both physically and mentally. Lazy cats will greatly benefit by all the movement play provides their bodies. Mental stimulation is yet another important aspect of a healthy lifestyle. It’s important to select toys that allow your pet’s brain to grow and stay amused. 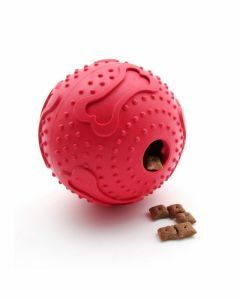 Petsworld offers a plethora of choices when it comes to shopping for interactive cat toys. Wand toys are invariably present in households with one or more cats. When you sway the wand toy your kitty gets tempted to chase the dangling object tied to a line on the other end of the rod. Such playthings offer exercise and satisfy your mouser’s urge to hunt a pseudo prey! There are food/treat dispensing toys for kitties which work towards getting an obese cat engage in an activity that’ll lead it to get a tasty meal. 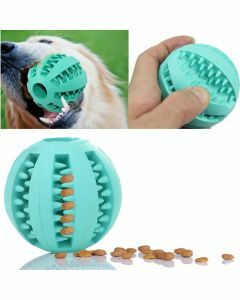 A ball is filled with dry food and when the cat slaps and plays with it, the food begins to roll out from the cavity. Laser toys are another popular choice and your pet will really enjoy chasing the beams and spherical patterns let out by the laser pointer. An automatic version of the same is available in pet supply stores and is ideal for busying up the feline for a considerable amount of time when it is left all alone at home. Kick and Scratch toy, Cat cuddle coil and Kitty scratching ramp by Petstages are some other options you may like to pick for your dear four legged friend. About fifteen minutes of interactive daily play is enough for a feline to release destructive energy and stay at a healthy weight.